It’s over! 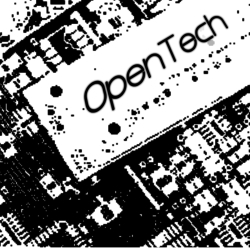 OpenTech 2011 has been and was a great success. OpenTech is one of these events where you know you will always meet old friends of O’Reilly and by now my friends. All coming from different backgrounds but all from the technical community. I could not go to the talks but there was a lot of laughing and clapping going on. For once, I think I would have been able to understand them. A lot of issues where discussed – What’s wrong and how can we improve our society. It might be better if I let you read the schedule as I am sure you will find good things there that you will want to be part of, or give you a nudge to start something of your own. Bill Thompson, technology critic with fingers in many pies. You know that when the silent Converses approach, something worthwhile will be said. His talk: Building Digital Culture for Free: Can the Hacker Ethic and Commons-Based Peer Production make a better world? You can find the talk in Bill’s notebook. Dave Cross – Watching the Press but also as described on his Google profile “Perl hacker and database programmer. Trainer, writer and amateur genealogist”. 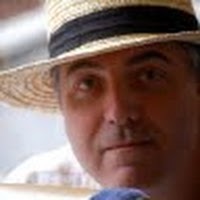 Dave is the author of The Perl Template Toolkit and others. I am hoping that Dave will write a Perl article for this blog in the near future – Watch out! 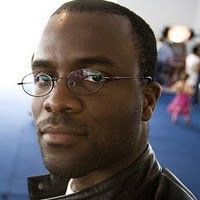 Adewale Oshineye, Developer Advocate at Google but also programmer, writer and photographer and author of Apprenticeship Patterns. 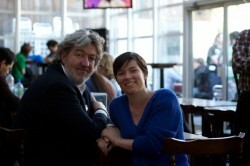 It is always so nice to talk to Ade – he has the knack of boosting my morale and give me tips to improve whatever I do. Rain Ashford – I love kittens… and Electromew. 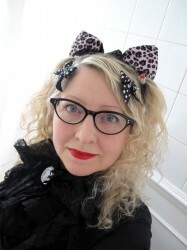 After 11 years at the BBC, Rain now devotes most of her time to the design and construction of electronic interactive artworks and wearables, for which she is available for commission, as well as consultancy in the realms of technology, arts and educational websites and interactive activities. What a programme! At OpenTech she talked and demonstrated – Hard curves, soft electronics – code, tech & textiles. I don’t think I stopped chatting all day, I won’t name any names but you know who you are and it was great talking to you. My knitting made a very quick appearance but was dropped in no time. Congratulations to Francis Bassey, the winner of the O’Reilly prize draw! Very good choice of books – Making Software and Open Government. Goodbyes were made on the sounds of “See you in Florence“, “See you in Riga“.